The iMagnetic Extensometer is used to monitor soil or rock settlement and heave in excavations, foundations, dams, and embankments, tunnels, shafts and sheet piles. Data from the extensometer indicate the depths at which settlement has occurred as well as the total amount of settlement. The bottom of the access pipe is anchored into stable ground such as bedrock. Any settlement or heave of the ground being measured will cause the magnets to move along the axis of the pipe. Various types of magnetic targets are available. 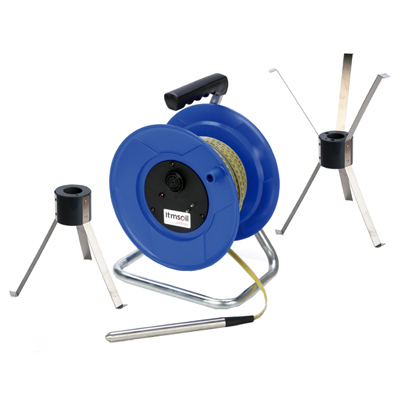 There are three-legged and six-legged spider magnets, retained by leaf springs, for use in boreholes. Plate magnets are also available for placing in soil or ﬁll when adding further sections of tubing during construction. E7-2.11 Telescoping access tube 33.4mm outer diameter. Internal tube, 2 metre length. E2-2.13 Protective cover. 2inch BSP Threaded cap. 50mm inner diameter, 500mm length. E2-2.14 Security cover. With bar and padlock. 50mm inner diameter, 500mm length.